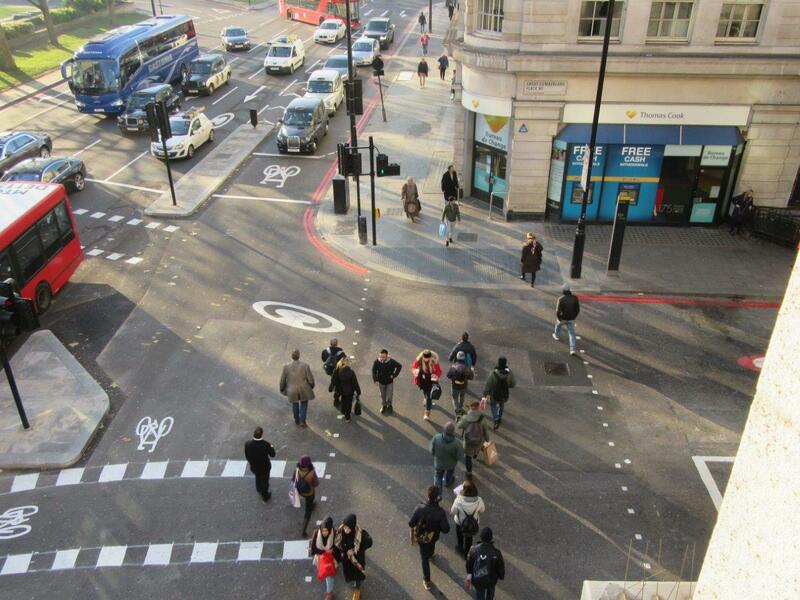 Two new pedestrian and cyclist crossings open at Marble Arch to make the busy junction safer. Work by Transport for London (TfL), with contributions from The Portman Estate and Almacantar, took place over four weekends in November to create a safer link between The Marble Arch and Great Cumberland Place, including a dedicated 2m wide cycle crossing northbound and southbound between Marble Arch and Great Cumberland Place, and new fully signalised 6m wide pedestrian crossing east/west across Great Cumberland Place, west of Marble Arch Underground Station. Work was completed on Sunday 27 November. 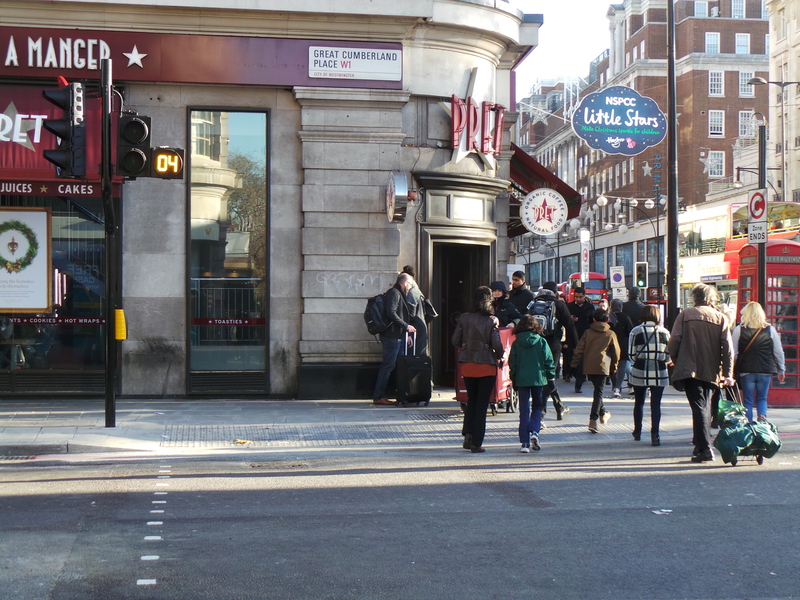 Nigel Hardy, Head of Sponsorship for Surface Transport at Transport for London, said “The two new crossings at Marble Arch will make it easier, safer and more pleasant for cyclists and pedestrians to get around this busy junction. The Great Cumberland Place crossing previously had a collision rate that exceeded the Westminster average and was one of the top priorities for improvement expressed by local businesses. 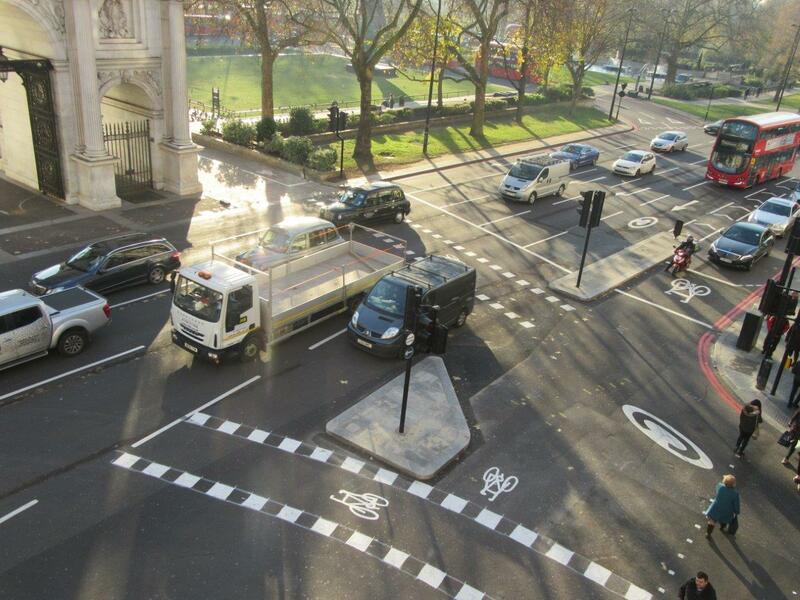 The crossing complements the Central London Cycle Grid – a network of cycle routes through Central London and the City, making it more attractive to people who don’t cycle and safer for the increasing numbers who do. 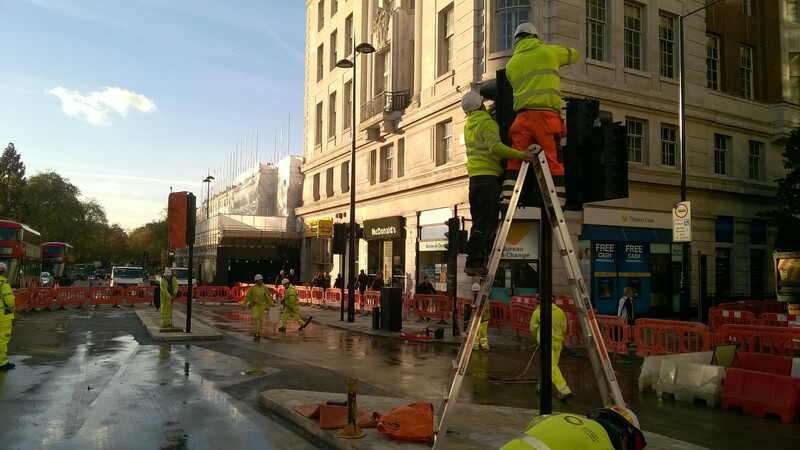 The Grid provides joined up connection and improvements for cyclists and Westminster City Council is progressing a number of routes in the local area. The changes also improve the existing and growing cycle movement to the East-West Cycle Superhighway via Broad Walk and North Carriage Drive through Hyde Park. Click here to watch the junction before, during and after TfL’s investment. Download the full press statement here.